A Tablet a Day, Helps us to be well on our way…. 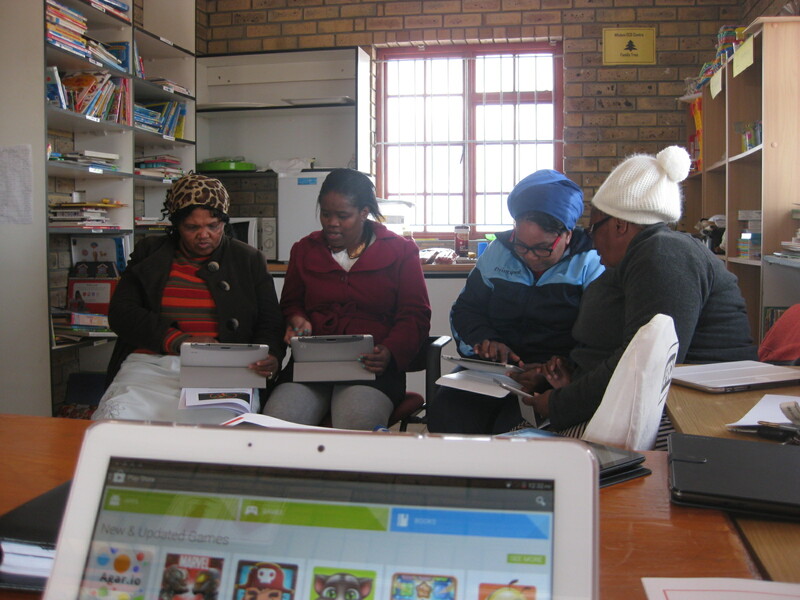 It is an exciting time in the Starting Chance Project as we prepare our satellite shack schools to get ready to enter the technological age and introduce their grade R children to the exciting realm of tablets. Research has shown that 32% of primary school children in USA know more about the internet than their parents! 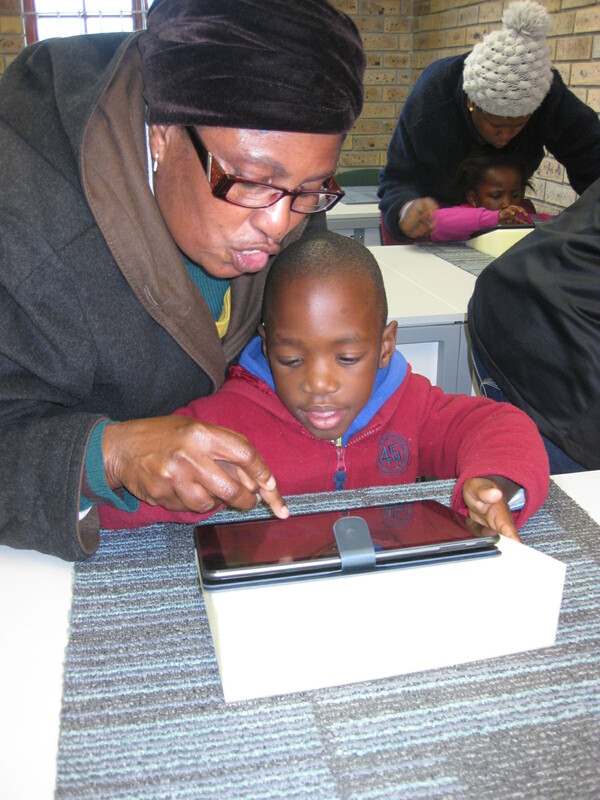 In order for our township children to compete with their counterparts around South Africa and the rest of the world it is imperative that they have the opportunity to have access to technology from a young age. Home Choice Development Trust has a vision to introduce tablets to ECD’s across Cape Town and the Starting Chance Project is one of the fortunate projects to be sponsored. 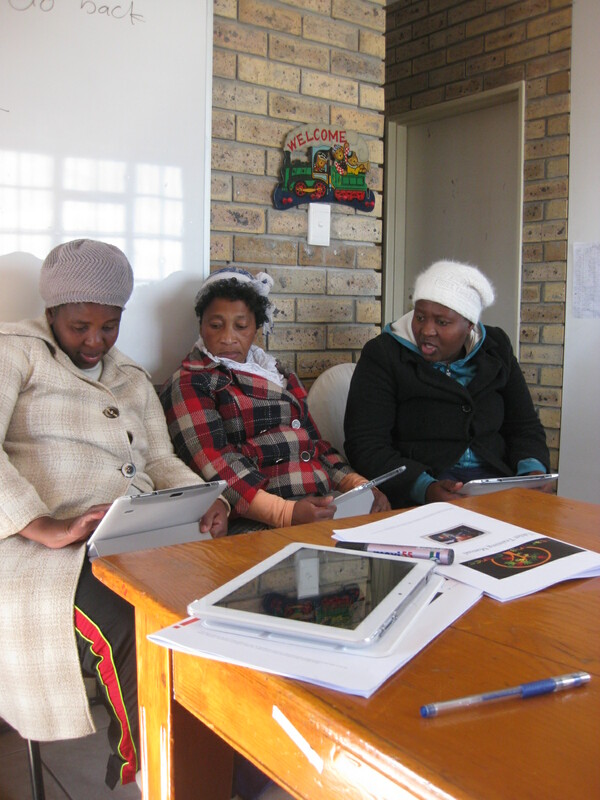 In order to be effective, Starting Chance has been providing training on tablets for the principals and staff of the 5 schools participating in the project. 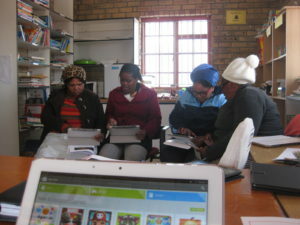 Yesterday was great fun as we learned to download FREE apps from Google! Screeches of delight resonated from the training room at our “hub” as “Talking Tom” entered the scenario and delighted teachers started to “play” with their tablets. To help the children effectively, it is vitally important that the staff feel confident themselves. Next week will be a defining moment for our first ‘shack to chic’ school, when we beam the internet through Mfuleni to Little Stars, and the Grade R children have their first go on tablets!